If you're anything like me, you love LinkedIn not just for all its awesome marketing tools, but also for its fantastic personal networking features. So when I saw a new feature announcement from everyone's favorite professional social network grace my RSS reader this morning, needless to say, I got a little giddy. Today, LinkedIn launched 'LinkedIn Contacts,' a new tool to make it easy for users to build and maintain important relationships -- available on both LinkedIn.com and a new iPhone app. 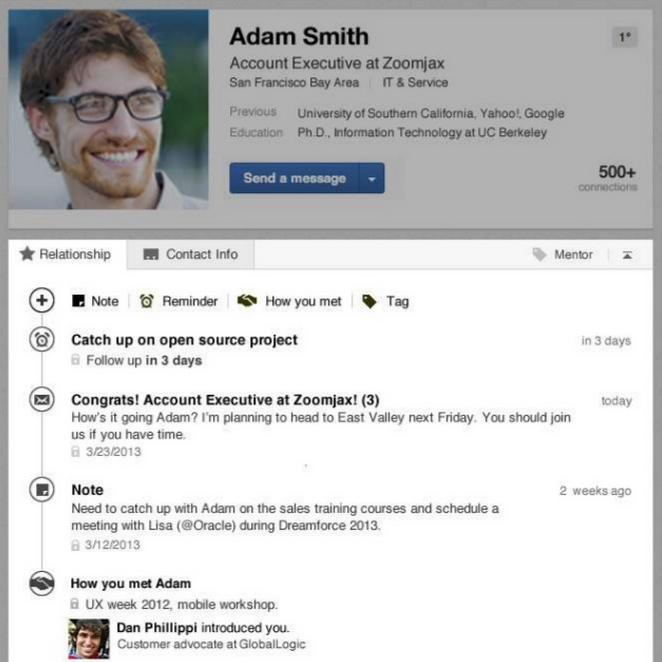 While this isn't exactly a tool that's incorporated with LinkedIn Company Pages, it's definitely still one that inbound marketers can take advantage of, so let's explore the features of LinkedIn's new tool and brainstorm some ways it can be helpful in managing your business' marketing relationships. The tool pulls in and keeps up to date all your address books, emails, and calendars in one centralized location. In addition, it compiles details about your past conversations, meetings, and notes (for instance, if you wanted to remember that you met a contact at a certain industry event) from these various sources automatically, populating your contacts' profiles with these details. 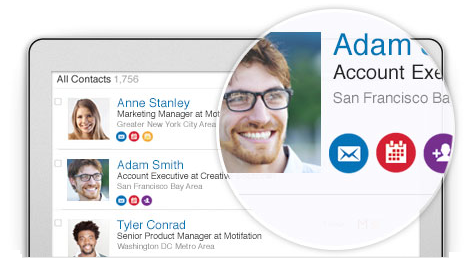 LinkedIn Contacts sends you alerts and email notifications when contacts in your network change jobs, have birthdays, or when you haven't chatted with them in a while -- so you can stay on top of opportunities to reach out and stay in touch. Furthermore, the tool allows you to set your own reminders with notes about important people you're connected with. For instance, you could set up regular, ongoing alerts to remind you to keep in touch with people you want to make sure you have regular conversations with in an attempt to build and grow those relationships. According to Mashable, LinkedIn Contacts' integration with TripIt will also suggest you get in touch with local contacts who live in an area where you've planned a trip -- and provide you with a canned message you can easily send to those contacts. 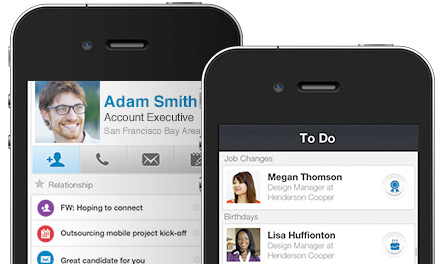 Once released to the public, LinkedIn Contacts will also be available as a separate app for the iPhone, enabling iPhone users to access the tool and get alerts while they're mobile. 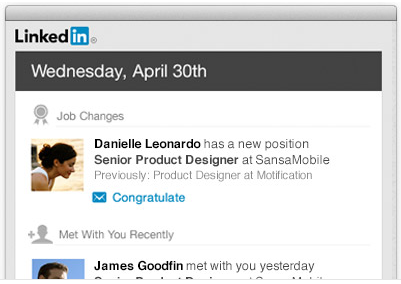 According to Mashable's article, Sachin Rekhi, product lead for Contacts at LinkedIn said,"When you think about LinkedIn.com today, many people already consider it their professional rolodex, but today it truly only represents the explicit connections that you‘ve created on LinkedIn.com. The reality is, our professional lives span more than LinkedIn.com, and our contacts are kind of spread everywhere."